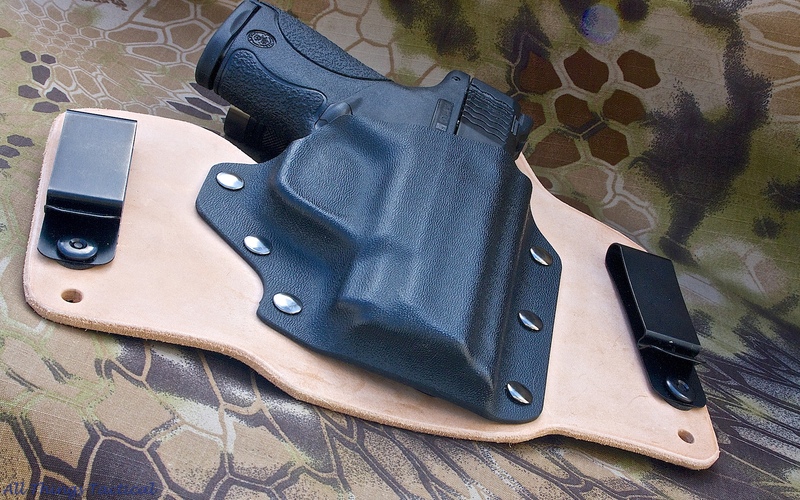 Multi Holsters kydex that is American Proud !!! All Things Tactical had the great pleasure of visiting the manufacturing facilities of Multi Holsters ( multiholsters.com) located in Plymouth, Michigan. This makes them a hometown holster maker to those of us in lower MI. Tony the owner of Multi Holsters and I were introduced via a mutual friend Shaun of Sentry Gunleather, and within a few short Facebook messages we hammered out a time for me to visit. I want to take this opportunity to say that I was blown away by the generosity and professionalism of everybody on staff at Multi Holsters, each and everyone of them made it feel like we were visiting with old friends. Tony and I had a chance to sit down and talk for a bit about most things kydex. Multi Holsters not only produces some of the finest kydex gear, but they are a provider of many interesting items aimed at making the production of quality holsters and gear more efficient and cost effective for the kydex producing industry. I have video of the short interview with Tony where we discuss some of these items. That video will post in the next few days, so be sure to stay tuned for it. Multi Holsters are by far considered the light and laser holster go to company. The sheer number of lights and lasers that they can accommodate is huge. 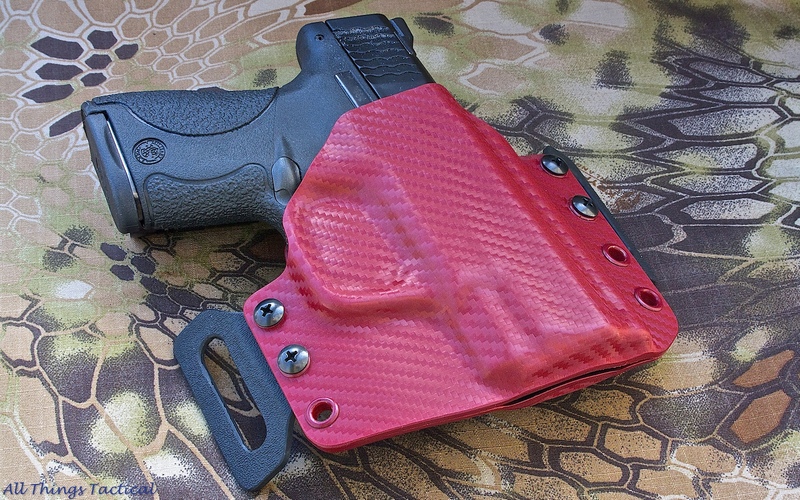 Viridian Laser (http://www.viridiangreenlaser.com) works extremely close with them, in fact Multi Holster can produce you a custom kydex holster that will have the same technology to turn on and turn off your Viridian Laser/Light unit just like the the factory OEM holsters. While I was at the shop Tony allowed me to document the constructing some holsters for my S&W Shield. In fact he let me choose the models and material for each. Since my Shield will be my warm weather gun I decided on a Hybrid style IWB holster (http://multiholsters.com/hybrid.htm ) and one of his very popular Multi holsters (http://multiholsters.com/multi.htm) which by the way can also be converted to IWB by just chafing the hardware. Since this holster won’t get seen by many I choose to use the standard .080 black kydex. I also opted to use the standard style leather backer with more of a square shape as opposed to the new moon style cut. This was just a personal preference thing, I guess I am just an old school type of guy. 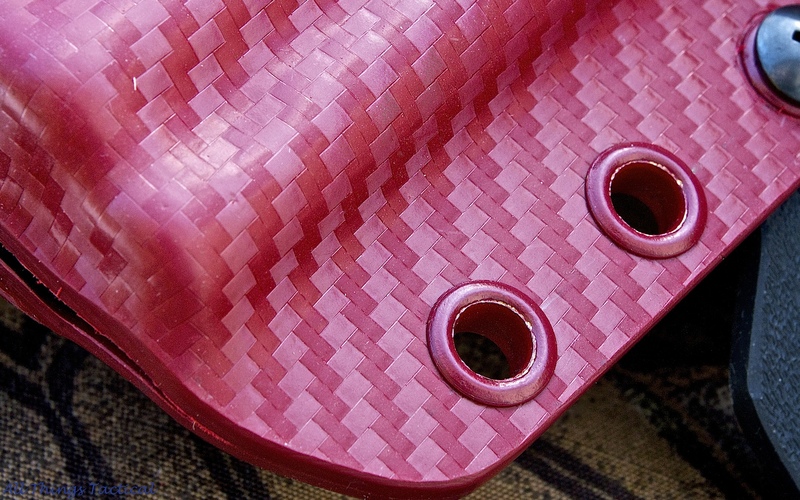 Even though this holster won’t be seen by many, the attention to detail is very evident in it’s construction. The molding process used was a vacuum style. This allows the kydex to be formed in greatly reduced time frame while still retaining superb mold definition. On a side note it also is much easier on the equipment being molded. A lot of makers starting out use the actual firearm to do the molding this will subject the weapon and any gear attached to it to great amounts of heat and pressure sometimes multi tons of pressure and the foam used acts as an insulator for the hot kydex. Vacuum molding takes the high pressure exposure out of the equation. Vacuum also allows the kydex to set and cool a little faster easing the heat exposure to the item. I will include pics of the Hybrid holster down at the bottom of this post. While the Multi holster ( http://multiholsters.com/multi.htm) has some of the same features found on most standard OWB holsters, it can also be converted allowing it to the user to wear it in an IWB fashion just with a simple hardware change. 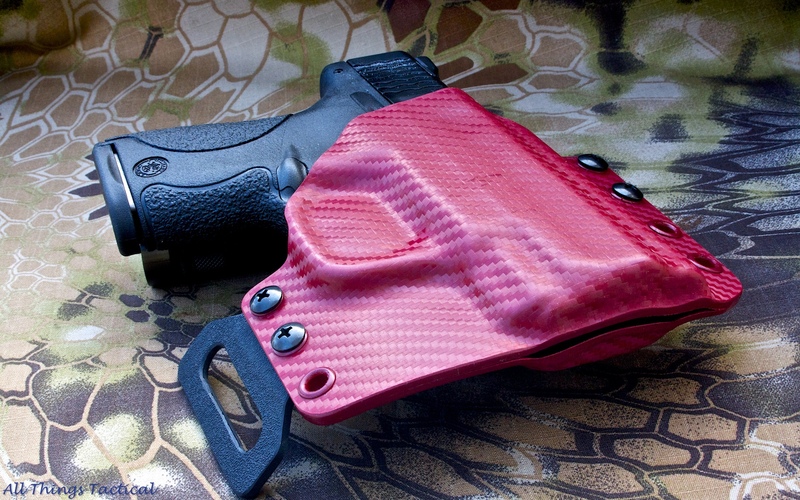 My particular holster is made with Holstex material with a carbon fiber print on it. 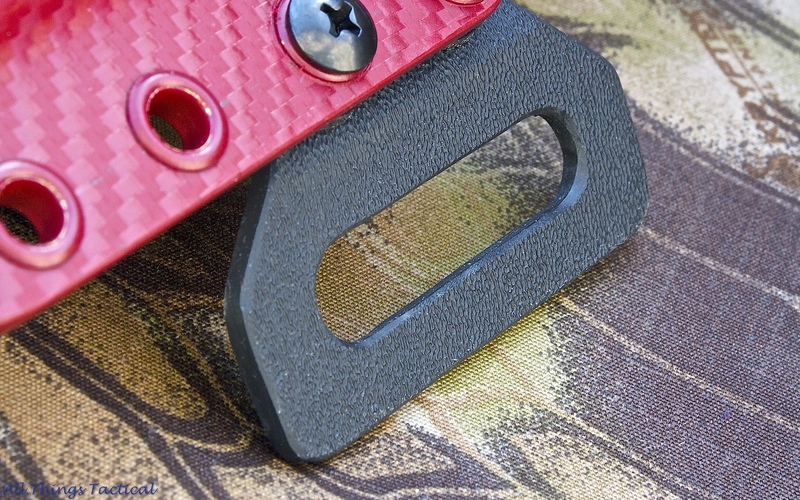 This color in particular Blood Red has just been released by Index Fasteners Kydex Division ( http://www.ifithermoplastics.com/products/Kydex ). The red color has a certain pop to it. The .080 thick Holstex has great strength, but still allows great definition. The holster attaches via some winged belt loops, this is the first time I have had a chance to use them. 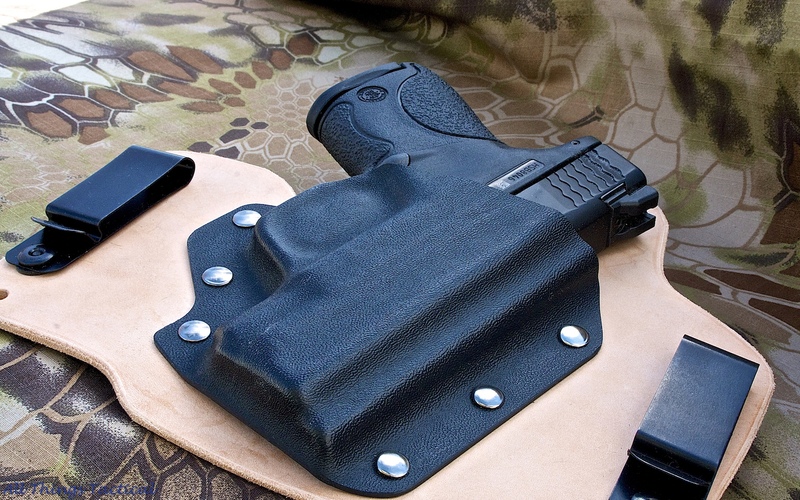 The do hold the holster much closer to the body allowing the concealment aspect to be enhanced. The use of the wings also allows the weapon to ride with or with out a cant. Greenforce Tactical and Maxpedition a marriage made in Heaven !! !